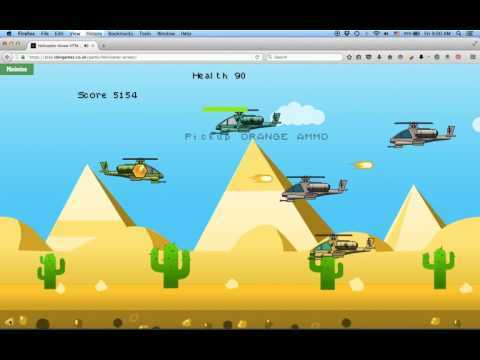 A set of sprites and backgrounds to make a complete 2D helicopter game. Ideal for side-scrolling shooting games. All background sprites are seamless and parallax scrollable. You can also play the demo game here to get an idea of how to put the game art together. All sprites and background is done using Inkscape. I have provided two version of svg files. If you use Inkscape, you can use version 1. If you are using other svg editors, you can use version 2. The helicopters and explosion animations are also done inside the svg file included. I did not use any other programs to do the animation, only Inkscape. So you are free to re-skin the animations or game assets to your liking.